In Annual Events, Laurel, Trap Pond. Each year as volunteers for the Nanticoke Watershed Alliance (NWA) wade in at Trap Pond to measure the water clarity it is about more than just collecting information, it is about an attitude. 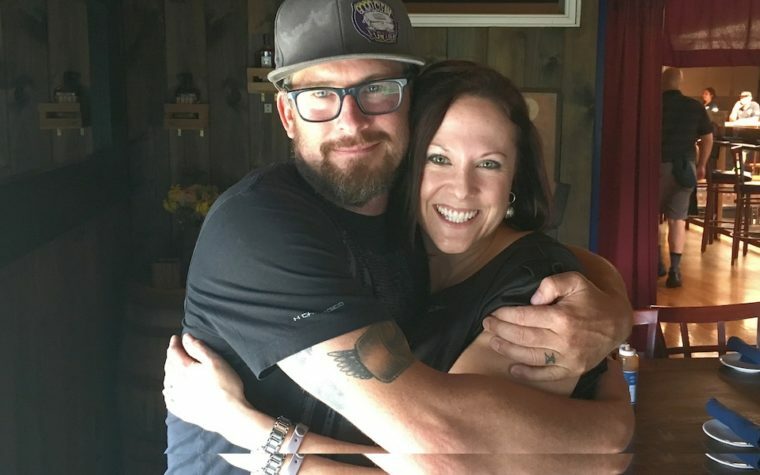 As the nonprofit that is responsible for tracking the health of the watershed, the NWA is cultivating a culture of people who both understand and care about the ecosystem’s health. That is why it is so important to have kids involved. Trap Pond State Park in Laurel, Del. is a campground as well as a nature preserve, where people travel in to kayak, canoe, fish and even birdwatch. 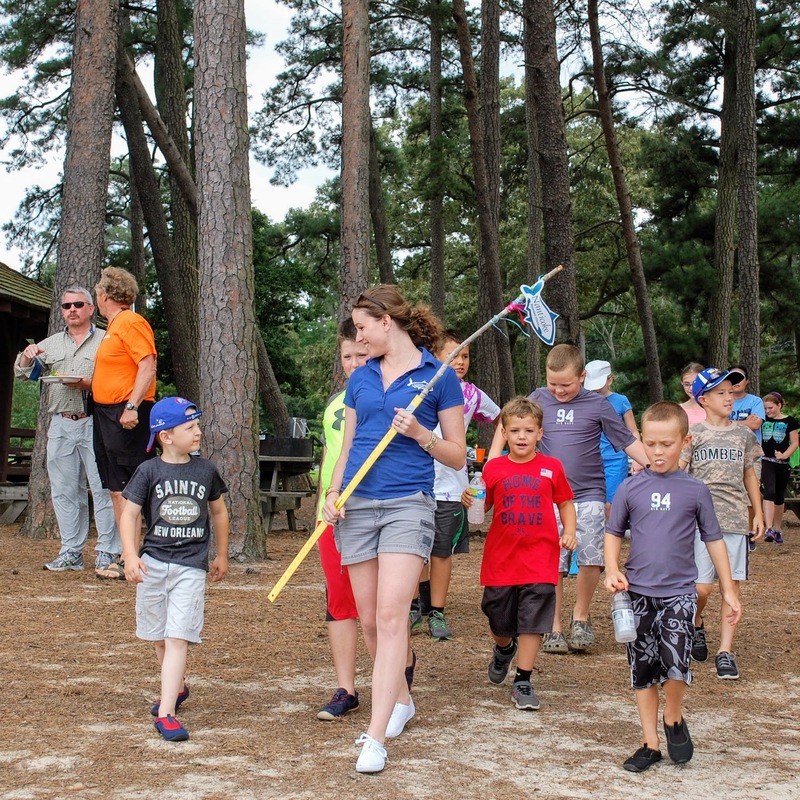 The Nanticoke Watershed Alliance Wade In incorporates kids as well as adult volunteers in the event as a way of recruiting conservationists of the future as much as to bring a little depth to the children’s day camp experience. For the adults, the idea is to give them an opportunity to be recognized for the work they do all year, mostly behind the scenes and independently. According to NWA executive director Shelly Baird, the inland bays, ponds, rivers and creeks are monitored year-round by 40 adult volunteers. These volunteers monitor 36 sites around the area measuring the indicators for what will eventually be the NWA report card. One of the camp councilors leads her troop into the water to measure its clarity as well as to teach about what clarity can tell them about the pond’s health. Indicators include water clarity and the presence of nitrogen, phosphorous, chlorophyll and dissolved oxygen. When matched against the baseline numbers necessary for a completely healthy watershed, the real world measurements are assigned a percentage. Based on that percentage the body of water is issued a grade. These grades are combined together to rate the watershed’s overall health. According to this year’s report, the watershed overall only improved marginally but there were several bright spots for Seaford and Laurel waterways. The Delaware headwaters remained unchanged, retaining the B grade from last year, but the upper Nanticoke waterways around Seaford improved an entire grade (from C- to C+); similarly for Broad Creek which improved a letter grade (from C- to B-). Both waterways improved their overall scores by making small strides in each of the categories. For example, even though both the upper Nanticoke and Broad Creek received an F in nitrogen levels, both waterways had “higher” Fs. This was true of many of the categories. 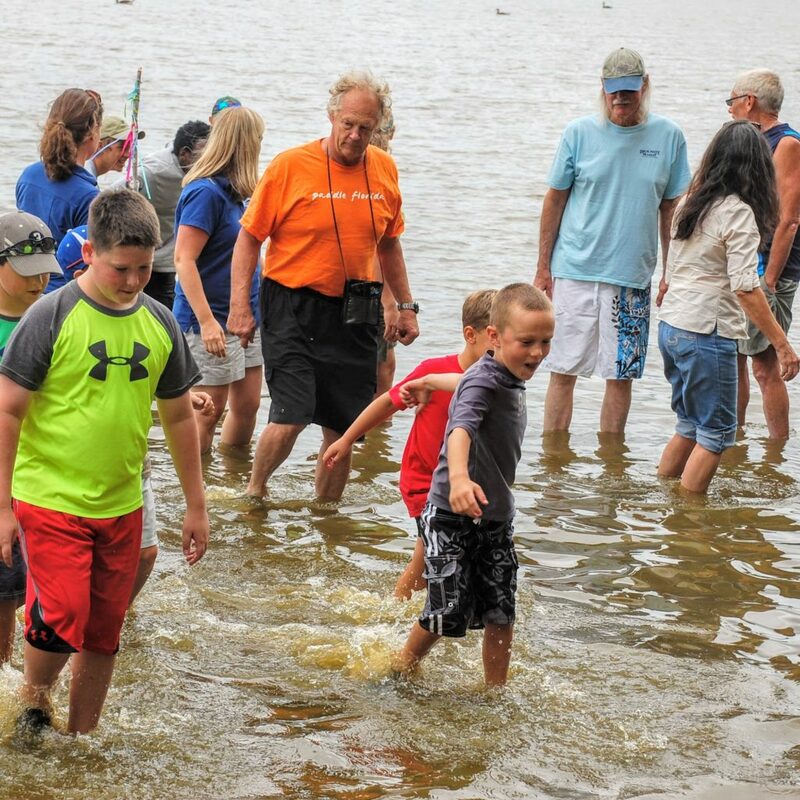 Kids and adults alike participate in the Nanticoke Watershed Alliance Wade In, but keeping the younger folks engaged through their teens is a challenge. One of the more difficult things to measure over time, though, is enthusiasm. Keeping people involved in the process is an important part of the NWA’s work. To that end, they engage Americorps volunteers as well as younger kids. Getting the kids excited about preserving the watershed and keeping them that way is critical for the long term success of the project. It isn’t just about cultivating future community leaders, but rather about helping give the next generation the language they need to describe clean water issues. By participating in things like the Trap Pond wade in, even young kids begin to understand the challenges faced by the environmental stewards in the area. Learning what the grownups in a child’s life find important is one of the ways kids begin to figure out what kinds of things will be important to them as adults.